The Mandarin Bend Farm is located inland of Bowraville, just outside the Macleay Valley. 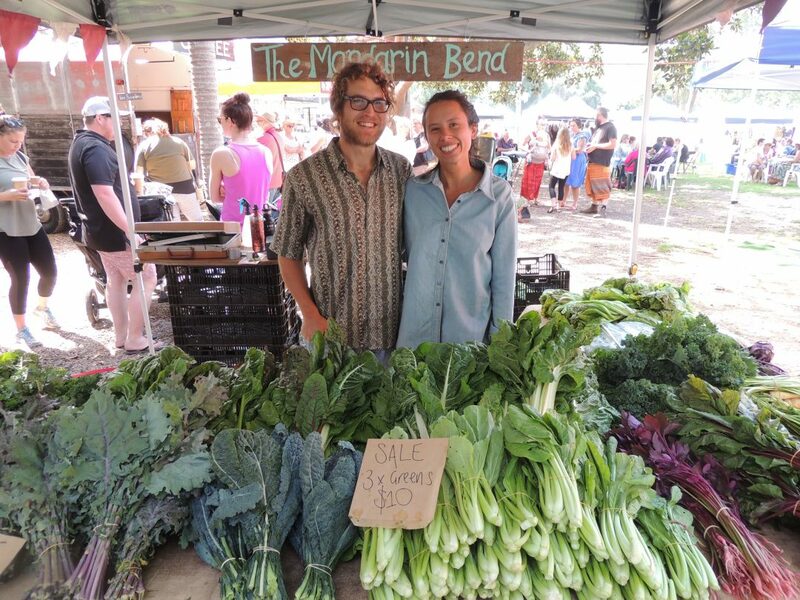 Kaycee and Tom sell their organic produce at markets in Kempsey, Bellingen and Gladstone. 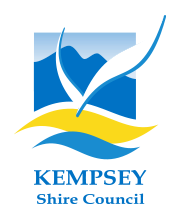 They also have an online stall and deliver produce to Bowraville, Macksville, Eungai and Kempsey every Tuesday. We caught up with Kaycee and Tom to find out more about The Mandarin Bend Farm. What was your motivation for starting your business? Kaycee I was working as an environmental consultant in a corporate world and felt like I wanted to make to big difference in the world and truly help save the environment. I left my job to explore in my van and check out some farms and ended up doing a three-month internship at a biodynamic vegetable farm on the Mornington Peninsula. I fell in love with small scale farming and realised I could make a good living doing it. After finishing up I wanted to keep growing but paid opportunities on small-scale vegetable farms are rare, so I eventually started my own plot on a share-farm in Rollands Plains, near Port Macquarie. I started my own business as The Gypsy Farmer and sold veggies around the region, but it was a really tough slog by myself, especially living out of an old, tiny caravan with no running water! While I was farming at Rollands Plains, Tom’s father purchased The Mandarin Bend. Tom was up there farming by himself, and I was at the Plains by myself so it was logical to leave the Plains and head to beautiful Bowraville for a stunning farm, a house with all the comforts…and Tom as a business partner of course! Tom For me, the writing was written on the wall relatively early-on despite my urban up-bringing. It stemmed from childhood days spent running around the family farm in Dorrigo NSW, and snowballed when my love for open spaces blossomed in my teens. I became interested in holistic grazing management, studied environmental management and ecological agriculture at Uni, and pursued a career in those fields after graduating. A little career disenchantment and a burning desire to see the world with an agricultural lens steered me down the WWOOFing (Willing Workers on Organic Farms) path, where I managed to volunteer on some pretty amazing organic and biodynamic farms, taking-in the knowledge and passion for growing beautiful food and nurturing our environs from my hosts all over the globe. It instilled in me a sort of assurance that I could begin something when I returned home, and I did. It certainly wasn’t all smooth sailing but I persisted and eventually natural progression to live the lifestyle and derive agricultural income on a manageable farm scale led me to our current farm model. My dad and I worked out an arrangement to farm here at The Mandarin Bend, and I’m so fortunate to have been on a similar trajectory to Kaycee. We started the market garden at The Mandarin Bend in about March and it has been an exciting adventure ever since. What is your agricultural experience? Kaycee I had a few WWOOFing experiences in Australia and Canada, but they weren’t really at proper farms. My three-month internship in Victoria was insightful training for small-scale vegetable farming but I was limited in experience when starting my own market garden and business! Tom I’ve been into farming now in a big way for most of my life! It’s in my blood – even though I grew up in industrial Newcastle my dad’s family were progressive dairy farmers, and once I found farming, I was hooked. My hands have to be in the soil! My obsession even cajoled my mum and step-dad into buying a piece of land in Rollands Plains NSW. I bought my first cow at 18, started working on other farms around the area through my Uni holidays, studied agriculture, WWOOF’ed around the world, came home and farmed, and now all my experiences have melded into small scale diversified organic vegetable farming (although I still keep a few cows). What have been your biggest challenges in your business and how have you overcome them? Mother nature! She can be so cruel and so kind. Summer last year was incredibly testing with such blistering hot weather and a long spell without rain. And it is totally out of our control, which can be so frustrating. Isolation is also a challenge. We live in a remote spot (30km upstream of Bowraville). We prepare for the worst – this summer we are growing a lot of our greens under shade cloth with micro sprinklers to try and mitigate damage from intense heat and sunlight. Next winter we will hopefully have a big greenhouse to grow in which will also protect some crops from frost and prolong our growing season. In terms of isolation, we can’t really overcome this – we have to be organised and time everything well as travel amounts. It’s a good lesson however, and living where we do certainly has its benefits. We have the cleanest air, water, soils and therefore growing environment! Lots of things – Most of the time, growing food doesn’t seem like a job! We get to be outside in nature all day, creating things like good soil, food and compost. Going to work is very rarely a drag! We also love being our own boss and getting to do what we want each day. Market gardening is so diverse that there are always different things to do so it is hard to get bored. But the best thing about our job is probably the buzz we get when people say how good our produce tastes, or how glad they are to see us at a markets. It is good for the soul to have people really love and appreciate what we do. How do your personal values align with your business? 100%! We love food and we love nature. We have managed to combine our two greatest loves and make a lifestyle out of it. We feel like we’re doing the most important job in the world – feeding people with high quality produce in harmony with the mother nature. That’s winning in our eyes. What are your goals and aspirations for your business? We are less than a year old so we still have a lot of infrastructure and systems to put in place on the farm to make us more efficient and comfortable. We hope that we can find a sweet spot of being profitable yet not working ourselves crazy (it’s easy to do in a market garden)! We also want to educate and connect more people to food. We hope in the future we can hold farm open days, workshops and paddock to plate events so people can come and experience the farm and learn about food. We love all the quirky characters that come out of the valleys and the bush on market days for a chat — so many stories to tell and laughs to share. We also love how down to earth people are around here. Bowraville is a great town – indeed the whole Mid North Coast is. We’re blessed! What advice do you have for other young farmers just starting out? Put everything on the line and give it a go! Network with other farmers and go and check out as many other operations as possible so you can see what works and what doesn’t. Most importantly, don’t give up when it gets tough. Be persistent and resilient. It is hard work but the most rewarding job you can do. Farmers are the backbone of our communities, and we need a stronger backbone – we need more progressive open-minded young farmers.